Pterygium is characterized by a pink tissue growth on the sclera (the white part of the eye), which seems to be the result of chronic exposure to ultraviolet light. 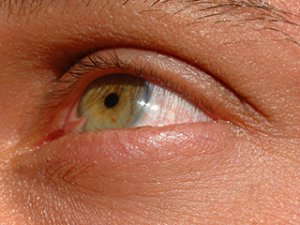 In fact, because many surfers suffer from pterygium, the condition is often called surfer’s eye. Pterygium is not cancerous and may continue to grow gradually or stop growing after a certain point. If symptoms are mild, the condition does not require treatment. However, if the condition starts to interfere with vision, treatment may become necessary.